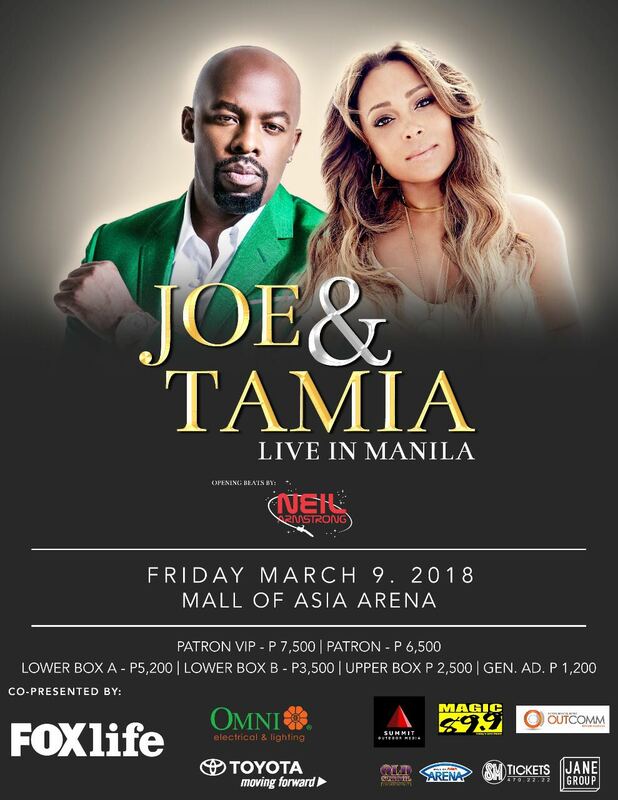 ‘Officially Missing You’ and ‘So Into You’ singer Tamia plus ‘No One Else Comes Close’ and ‘I Wanna Know’ songwriter-producer Joe are set to perform in Manila as a treat for R&B fans and 90s kids. Joe and Tamia will be co-headlining a one-night only concert on March 9. It’s a very special event, as it will be the first ever performance of both artists in Manila. Opening the show is international DJ Neil Armstrong, a Filipino artist based in the US who has toured with Jay-Z, performed during the presidential inauguration of Barack Obama, and created mixtape projects which gained the approval of MTV and Rolling Stone. DJ Neil Armstrong is also a music ambassador of Adidas. 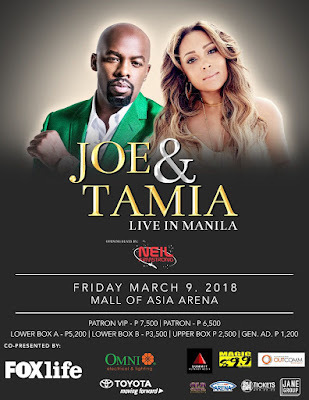 Joe and Tamia Live in Manila is happening on March 9 at SM MOA Arena, presented by Old School Entertainment Productions, inc.
Tickets now available at SM Ticket Outlets or online at smtickets.com.